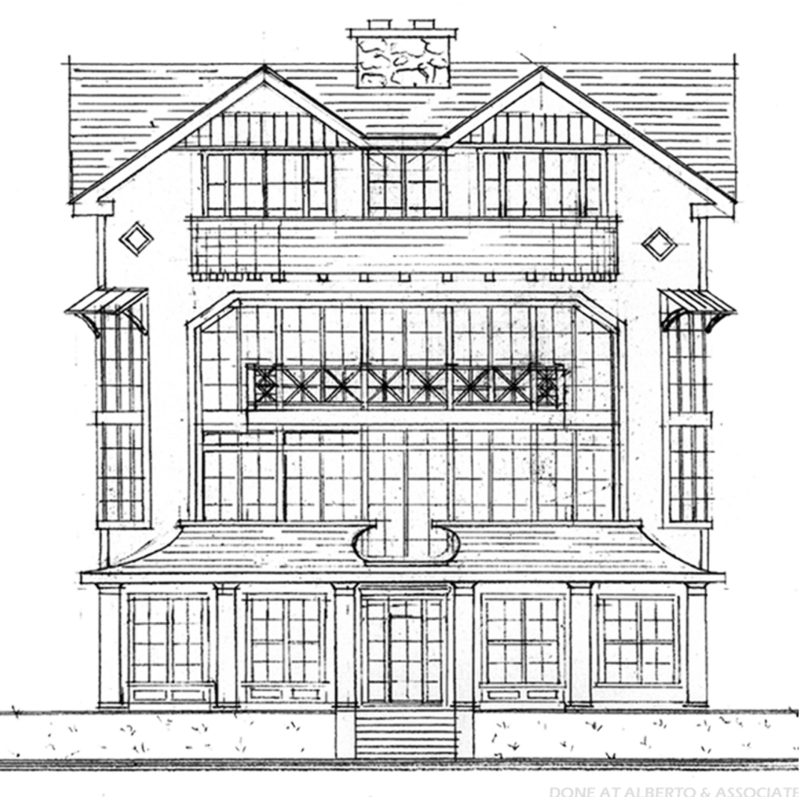 A schematic master planning exercise for a multi-family residential complex at Sunny Avenue & Bay Avenue in Somers Point, New Jersey. The complex features a mixture of condo buildings and townhome buildings. The condos contain single floor open living & ADA compliant layouts with elevator. The townhome buildings feature multi-level living with customizable layouts. The exterior designs for these buildings feature a distinctive beach vernacular, with careful attention to scale, proportion, color, as well strict local neighborhood & municipality design guidelines.